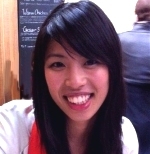 Nhan is a half Chinese, half Vietnamese, Adelaide-born Australian who has never been able to keep still. Unable to settle down back in Australia after a two year stint in London, Nhan packed up her bags again, quit her stable job as a pharmacist (the second time around!) and moved to Paris in 2012. What started out to be merely a year to experience and fulfill her dream of "living in Paris" unexpectedly became a permanent life change when she met her French partner. Nhan now enjoys dabbling in the world of freelance writing (a passion she has always secretly kept to herself until recently) with various contributions as well as managing her blog My Love for Paris and its respective Facebook page where she shares all the beautiful places, events, views, delicious food!, activities and discoveries she stumbles across in the City of Light. You can also reach her by email. The sun is out, the sky is clear and in the distance is a breathtaking view of the harbour. There is a group of men playing pétanque under the afternoon sun. The traditional game of French lawn bowls takes place in its own time, the metallic balls clinking after each long and paused thoughtful aim. On the other side of the road, groups of Cannois sit with their espressos in hand and discuss the weather, life, current affairs and of course, a French favourite – politics. Along the pavement, little apartment-sized dogs trail behind their owners on their respective dainty leashes. I’m in Cannes on our twice yearly visit to see my French partner’s retired parents. One quick glance around and I can feel that the city of Cannes is as “French Riviera” as you can get: enviable Mediterranean weather, a view of the Old Port in the distance, bright boats and gleaming yachts neatly lined up next to each other and beach umbrellas and stretches of golden sand calling out to beachgoers. Oh, and not to mention, a healthy dose of navy and white attire about! Cannes is perfectly located with beach views and the French Riviera on your doorstop. Beautifully quaint towns like Antibes are only a 25 minute drive away. Another 15 minutes in the same direction and you’ll arrive in Nice. In the opposite direction, there’s Sainte-Maxime. And, 1.5 hours away is the charming Aix-en-Provence. Alternatively, if the snow is what tickles your fancy, several ski stations are located not too far away as well, notably Auron, Valberg and Isola 2000, so I’m told. Finally, if you’d like to pop over to Italy or Spain, well that’s only a few more hours to add on to your drive! No wonder Cannes is such a sought after retirement destination for the French. Cannes does not disappoint in diversity, despite its small size. The local supermarket stocks a wide range of products, catering for tourists and visitors as well as for the French retirees whose tastes vary depending on which region of France they had moved from. A stroll up rue Meynadier leading to the markets sees a long line of Cannois queuing to pick something up from the local butcher (whose surface area would be 15 sqm tops!). The line winds outside onto the footpath and so does the line of local bakery (no surprise there). The local market is no different, full of customers – a mix of tourists, French and non-French visitors, locals and local retirees. There’s a strong focus on seasonal, good quality, regionally sourced produce, from regionally sourced lamb from the Sisteon mountains to freshly caught seafood from the nearby coast. Brightly coloured fruits and vegetables of all shapes and sizes overflow the stands. The two inner aisles of the market Marché Forville (prime real estate here!) are strictly reserved for produce grown locally, not more than 50km away. One of the highlights of this market is the flower stands towards the left corner of the market. The blooms are simply gorgeous and incredibly reasonably priced. I picked up a bunch of 10 of my favourite ranunculi for only 3€! Mamie (grandma in French and what we call my partner’s Mum) tops up her market shopping with a trip to the local supermarket – picking up supplies for the lady on level 3 of her apartment who has just been discharged from hospital. It is reassuring to see the well-established micro-community of the apartment block helping each other out. Papi (grandpa) is even more involved in this micro-community. He’s the “president de conseiller syndicat”, chairing strata meetings and attending to any issues of the building. There is a lot to do in Cannes as a tourist and a local. There’s the charming Old Town and cathedral to wander around and sit in on a choral rehearsal, the island of Saint Marguerite to explore across the waters (think the Man in the Iron Mask), several weekly antique markets showcasing beautiful pieces of jewellery, crockery, cutlery, memorabilia, vintage designer clothes, shoes and accessories and a whole range of fascinating bits and bobs. In addition, there are numerous concerts, exhibitions and galleries about, as well as many activities organised by community groups and the local senior’s club to cater to Cannes’ high proportion of retirees. The most famous event, is of course the annual Cannes Film Festival. Although having said that, Cannes is a popular place among tourists and visitors throughout the whole year, not just during the Film Festival. We are not retiring for another 5 or 6 years. Many of our vacations in the last 10 years included possible retirement locations in Europe and Asia. We are planning to visit France next year and we will try to visit Cannes and the surrounding areas. Thank you for inspiring us to visit Cannes. Benefits and Rewards of Becoming a Golden Girl!